The newest methods of chemical extraction confirmed tartaric acid, the fingerprint compound for grape and wine as well as three associated organic acids - malic, succinic and citric - in the residue recovered from eight large jars. The findings are reported in a research study this week in Proceeding of the National Academy of Sciences (PNAS). "We believe this is the oldest example of the domestication of a wild-growing Eurasian grapevine solely for the production of wine," said Stephen Batiuk, a senior research associate in the Department of Near and Middle Eastern Civilizations and the Archaeology Centre at U of T, and co-author of the study published in PNAS. "The domesticated version of the fruit has more than 10,000 varieties of table and wine grapes worldwide," said Batiuk. "Georgia is home to over 500 varieties for wine alone, suggesting that grapes have been domesticated and cross-breeding in the region for a very long time." 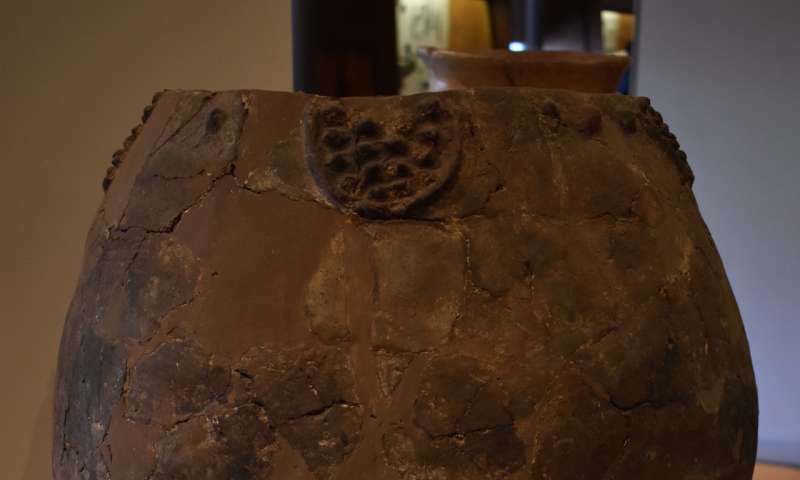 "Pottery, which was ideal for processing, serving and storing fermented beverages, was invented in this period together with many advances in art, technology and cuisine," said Batiuk. "This methodology for identifying wine residues in pottery was initially developed and first tested on a vessel from the site of Godin Tepe in central western Iran, excavated more than 40 years ago by a team from the Royal Ontario Museum led by fellow U of T researcher T. Cuyler Young. So in many ways, this discovery brings my co-director Andrew Graham and I full circle back to the work of our professor Cuyler, who also provided some of the fundamental theories of the origins of agriculture in the Near East. 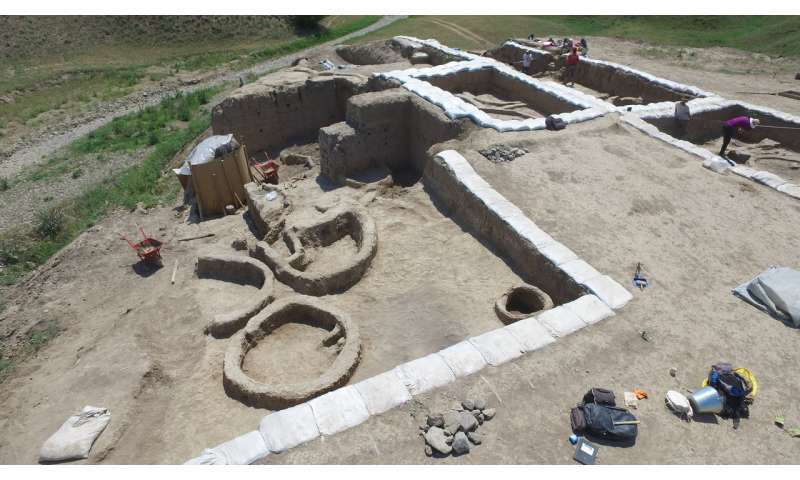 "In essence, what we are examining is how the Neolithic package of agricultural activity, tool-making and crafts that developed further south in modern Iraq, Syria and Turkey adapted as it was introduced into different regions with different climate and plant life," Batiuk said. "The horticultural potential of the south Caucasus was bound to lead to the domestication of many new and different species, and innovative 'secondary' products were bound to emerge." 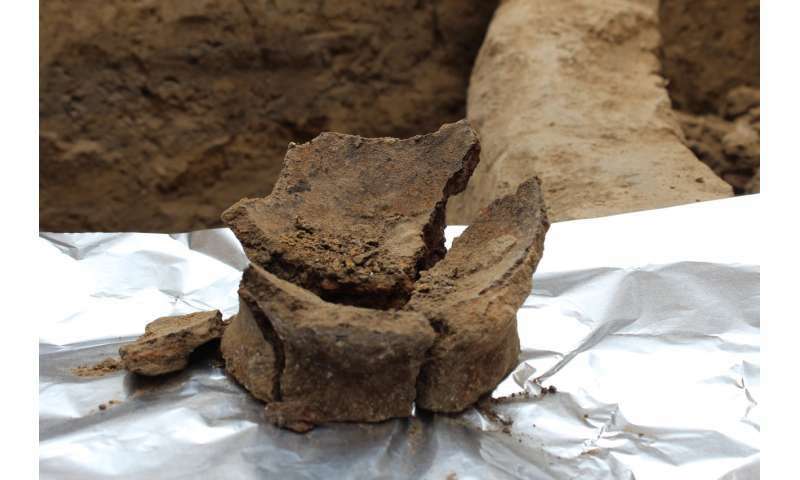 "Our research suggests that one of the primary adaptations of the Neolithic way of life as it spread to Caucasia was viniculture," says Batiuk. "The domestication of the grape apparently led eventually led to the emergence of a wine culture in the region." "As a medicine, social lubricant, mind-altering substance, and highly valued commodity, wine became the focus of religious cults, pharmacopeias, cuisines, economics, and society throughout the ancient Near East," he said. "The infinite range of flavors and aromas of today's 8,000-10,000 grape varieties are the end result of the domesticated Eurasian grapevine being transplanted and crossed with wild grapevines elsewhere over and over again," he said. "The Eurasian gravepine that now accounts for 99.9 per cent of wine made in the world today, has its roots in Caucasia." "Earliest evidence of wine-making" very near "the mountains of Ararat" (Gen 8:4), where, "Noah, a man of the soil, proceeded to plant a vineyard. When he drank some of its wine, he became drunk and lay uncovered inside his tent" (Genesis 9:20-21, NIV). Personally. I blame the party animals that came off the ark. Drunken revelry by the kangaroos and platypuses, the llamas and penguins. It was all their fault!